Talk about “peak hours” with any engineer who is working on a video streaming website, and it will send shivers down their spine. French startup Streamroot is making sure that everything will run smoothly when it comes to bandwidth, delivery time, adaptive bitrate and all the other key technical words in the world of online video streaming. In particular, Streamroot uses peer-to-peer to make you download from other watchers in addition to regular servers. The company just raised $2.5 million in seed funding from Partech Ventures with participation from Walnut Venture Associates, Cherrystone Angel Group, Jean-David Blanc and Bpifrance. This pitch might sound familiar as many startups promised this. Joost, Miro, Pando and countless of others might ring a bell if you’ve been reading about startups long enough. But most of these companies focused on desktop and mobile apps, or browser extensions. 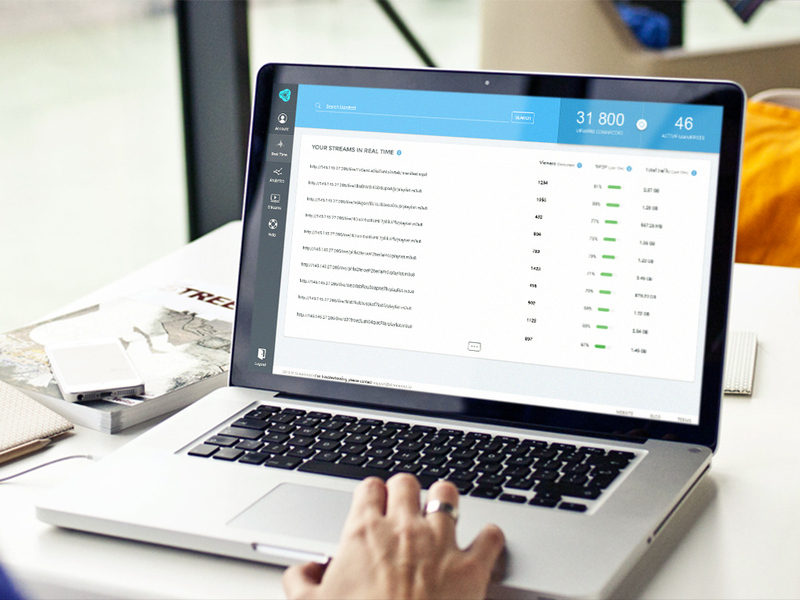 Streamroot stands out from the rest with its web-first approach. If a website uses Streamroot, you won’t have to download and install anything on your side — your browser already supports Streamroot videos. In many ways, it comes down to timing. Web technologies might finally be ready for peer-to-peer video streaming. Streamroot uses WebRTC and a proprietary peer-to-peer module, HTML5 video embeds with adaptive bitrate and more. It also works with live streams. In other words, if YouTube started using Streamroot tomorrow, you wouldn’t even notice it. But on other side of the equation, Streamroot can make a big difference. Delivering all these megabytes of video goodness costs a small fortune to big video websites. Anything that can reduce the bill is a good thing. Once you switch to Streamroot, a portion of the video will seamlessly come straight from other people watching this video at the same time. Again, Streamroot won’t replace your servers, but it will help reduce the bandwidth pressure on your servers. So the next time you’re trying to watch a popular live stream and the site is struggling, you’ll know they’re not using Streamroot.